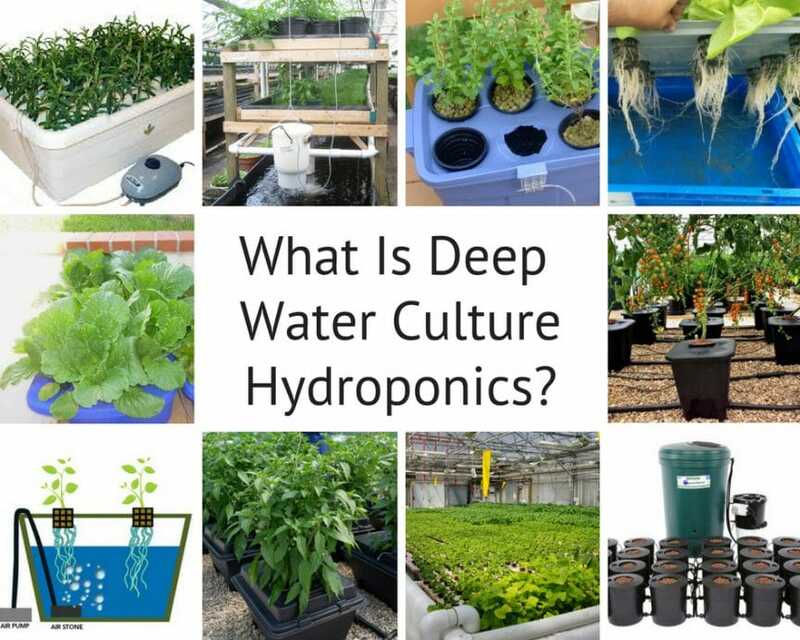 Blog What Is Deep Water Culture Hydroponics? 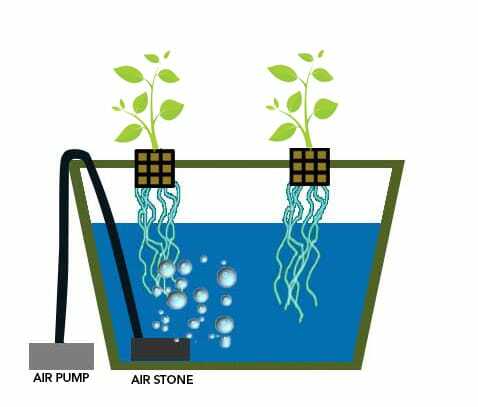 Deep water culture hydroponics is a method of growing plants where the roots are suspended in an actively oxygenated solution of water and nutrients, rather than planted in soil. It eliminates many of the drawbacks of growing plants in soil and results in faster plant growth and larger crop yields. There are many different ways to build a deep water culture hydroponics system, each with advantages and disadvantages for the user, depending on their goals. The simplicity of this agriculture technique is that by using a suitable well-oxygenated water solution, plants can be grown efficiently, with significantly reduced labor requirements than soil based cultivation. Growing herbs, flowers and other plants at home is becoming increasingly popular. For those who want to try something a little different than growing plants in soil, hydroponics is a great option. Deep water culture systems are a great way to get started with hydroponics. This growing method can be as simple or as complicated as you want it to be and can be scaled up as you gain experience. 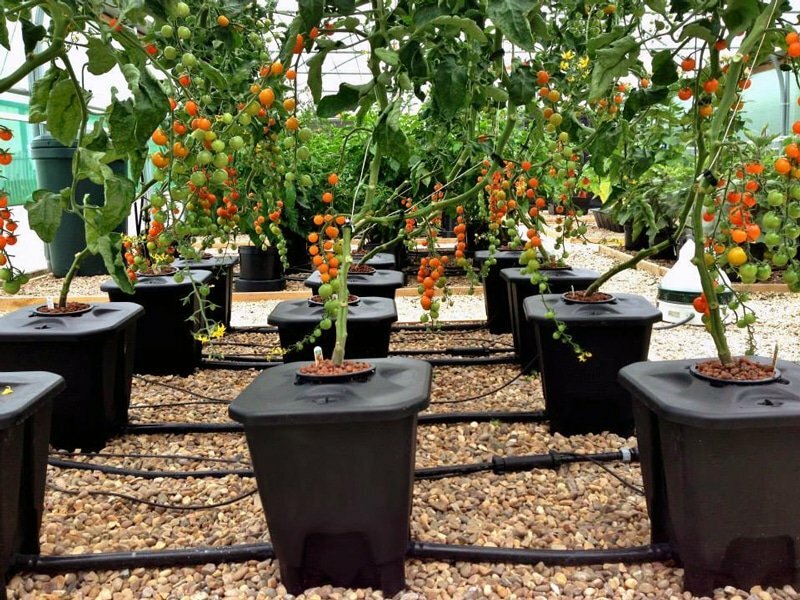 Deep water culture hydroponics is not only popular among homeowners, but many commercial organizations use deep water culture systems to grow a variety of fruit and vegetables crops in an efficient and sustainable way. Deep water culture hydroponics provides an efficient and sustainable way to grow a large variety of plants that can be used for food in the kitchen, or for commercial production by food producers. If you are new to the technique of growing plants using deep water culture hydroponics, then this guide is perfect for you. We will explore what deep water culture hydroponics is all about, take a look at how the process works, and guide you in the direction of creating your own system, which you can use to grow plants at home. Oxygen: Since plants are living organisms, they require oxygen for their respiration. Roots of plants in soil receive oxygen through the gaps present within the soil particles. In a deep water culture system however, oxygen needs to be pumped into the water solution to make it available for the root cells. Water: Essential for a plant to grow and thrive, water is abundant in a deep water culture system. The challenge comes in ensuring that the large volume of water in the system does not cause problems in the delivery of oxygen and nutrients to the plants. Nutrients: The water in deep water culture systems needs to be supplemented with nutrients required for plant growth, which would otherwise be absorbed via the soil. Adding the correct amounts of nutrients into the water solution makes sure the plants are well-nourished and able to develop to their full potential. Deep water culture systems are a good way to get started with hydroponics. It is one step up in complexity from wick systems, but it is still simple enough to be accessible to anyone. Here are some of the main advantages of deep water culture systems. Simplicity of setup. Deep water culture systems are easy to set up and only require a few parts that can be put together in a short period of time. The only moving part is an air pump, which is easy to configure. Monitoring is fairly simple, as long as it is done frequently and you understand the basics. Maintenance costs are very little once the system is set up. Plants grow much faster. This leads to larger plants with greater yields compared to soil based cultivation. yields of crops over the same cycle. Fluctuations in pH and nutrient concentration. This is a particular problem in small scale systems, where fast growing plants can lead to rapid changes in the pH and concentration of the nutrient solution, which can quickly cause problems for the health of your plants. Calibration difficulty. Again, in smaller systems, due to the low volume of nutrient solution, it is more difficult to accurately adjust the pH and concentration of the nutrient solution. Sudden swings in the characteristics of the nutrient solution due to imprecise calibration can again lead to negative impacts on your plants. The water temperature is difficult to keep within the target range as it will be quickly affected by the ambient temperature of the growing space. Constant oxygenation of the water of a deep water culture system is essential. The plant roots will not survive sitting in water that is not actively oxygenated. If your air pump has a failure or if there is a power supply interruption, this will very quickly lead to oxygen starvation and death of the plant roots. These drawbacks, however, can be overcome by careful setup and maintenance of a deep water culture system. Once you have mastered the basics of setting up and monitoring a deep water culture hydroponics system, it is fairly easy to scale the system up and apply your knowledge to grow different plants. The nutrients required for a deep water culture system will not differ significantly from those used in other forms of hydroponics systems. The main determining factors will be the plants that you are growing and the stage of growth that the plants are at. Whilst people using hydroponics at a more advanced level or larger scale may wish to make their nutrient solutions up from the base nutrients, it is usually more practical for most people to use a range of mixable hydroponics products. Personally, I use the General Hydroponics Flora Series as it’s tried and tested and allows for easy preparation and adjustment of nutrient solutions to suit almost all situations. Another common question is whether a single or a modular system should be implemented. Undoubtedly, it is safer, to begin with a singular system, in order to keep things simple until you increase your confidence. Once you have experience with the operation and maintenance of a deep water culture hydroponics system, you can go for a modular system to scale up your cultivation. Inquiries about sterilizing the water solution are also quite common. Keeping the solution sterile has many advantages in that the solution will be more predicable and you don’t need to worry about the problems associated with harmful bacteria and pathogens. However, a sterile system also loses the advantages of beneficial bacteria within the system. A sterile deep water culture system takes discipline to maintain and involves additional sterilizing agents and anti-fungal preparations. Personally, for beginners, I wouldn’t advise running a sterile system, but once you gain experience and look to create a larger scale deep water culture system, it is something to look into more closely. The temperature of the water reservoir is an important aspect of a deep water culture system. In general, the optimum temperature needs to be between 60°F (16°C) and 68°F (20°C), to make sure your plants remain healthy and able to absorb an optimal quantity of oxygen and nutrients. A higher temperature will reduce the amount of dissolved oxygen available in the water, causing plant roots to be at risk of drowning, even if it is being actively oxygenated. A decrease in temperature may trigger the plant into seasonal changes, negatively impacting the desired growth. The role of regulating water temperature in preserving the oxygen content of the reservoir is particularly important due to the difficulty in measuring the oxygen levels continuously. Commercial oxygen meters are quite expensive to purchase, and low-end ones may not be very reliable. Monitoring the temperature and air flow are better techniques to maintain good oxygen levels rather than measuring precise oxygenation of the nutrient solution. Another question that is quite common is how often growers need to change the nutrient solution. The answer to this question is subjective, as it depends on the plant type, stage of growth and the size of the water reservoir. In any case, a good guide is that a nutrient solution should be changed a minimum of every two to three weeks. Some planters may choose to re-adjust the nutrient balance of the existing solution instead of replacing it. This, however, is more difficult to control and may not give the desired results. Regular monitoring and adjustment of the pH and PPM/EC of the nutrient solution is necessary to ensure that plants are able to grow to their full potential. Fluctuations outside the desired ranges can lead to nutrient lockout, deficiency or toxicity, which can lead to plant stress or death. The pH of the nutrient solution should typically be maintained between 5.5 and 6.5. During vegetative growth, it is better for the pH to be on the higher end of this range, whereas it needs to be on the lower end of the range during flowering stages. There are numerous online resources which can advise you on the ideal constituents and concentration of a nutrient solution for any plant and growth phase. If you are using a two or three stage nutrient solution, there will usually be guidance included within the packaging or on the bottles. Generally, I would advise caution with the PPM of the solution. It is usually better to err on the side of making a less concentrated nutrient solution, to ensure your plants will tolerate it. Over time, you can increase the concentration to levels closer to those recommended. It is essential to ensure the roots are submerged into the water solution, yet also make sure that the stem and foliage are exposed to the air. To stay safe, it is recommended to keep around 1 to 1.5’’ of the roots exposed to the air to make sure the stem is sufficiently far from the solution. At any rate, water bubbles will eventually reach these exposed sections of the roots and will prevent them from drying out. This can be done either by conventional means or by using an aeroponic cloner. Aeroponic cloners are quite simple to use and enables easy transplanting of the young plants, as they will have bare roots and can go directly into your deep water culture system. The best plants that can be grown in deep water culture systems are those that do not need to flower. Lettuce and other herbs are particularly suitable due to the greatly accelerated growth rates which can be achieved compared to soil based cultivation. Kale, chard, collard greens, tomatoes and peppers are all excellent candidates. The first step is to connect the air pump, the tubing and the air stone. Place the air stone at the bottom of the reservoir, with the tubing going out to the pump, which should be situated close to the reservoir. A good way of suspending the grow nets or baskets is to cut a sheet of Styrofoam to the size of the top of the reservoir. You can then cut holes in this so that the net pots sit securely in these holes. Next prepare your plants by putting them in the grow nets or baskets and secure them in place with your chosen growing media. Next make up your nutrient solution and add it to the reservoir. Finally, put your plants in place so that they sit with their roots well submerged in the nutrient solution. Ideally, you should maintain around 1.5’’ of the roots exposed to the air to avoid the risk of the stems becoming submerged in the water over time. The water solution should have sufficient bubbles to resemble boiling water; these bubbles are necessary to oxygenate the water, to deliver sufficient oxygen to the roots to allow them to remain healthy. The system will need close monitoring for several days after being set up to ensure that the roots are receiving sufficient water, and the pH and EC of the nutrient solution will need to be monitored carefully and adjusted as necessary. In order to introduce dissolved oxygen into the nutrient solution, two aeration techniques are used; namely air bubbles and falling water. Air bubbles can be produced using the joint operation of an air pump and air stones. The air pump delivers air containing oxygen into the water through the air stone. These bubbles can also be formed using an air hose, which will produce a larger number of smaller bubbles. This increases the surface area of the bubbles, which increases the oxygenation of the water. Instead of using air pumps and stones to introduce bubbles, some water culture systems may utilize falling water to aerate the nutrient solution. This is because as water turbulently falls into the water reservoir, it applies downward pressure on the water and allows more oxygen to dissolve into the solution through the exposed surface area. This technique is, however, quite uncommon for home systems as falling water is more suited to larger scale systems. The optimum water level in deep water culture reservoirs depends on the placement of the plants on top of the water surface. The question is, should the plant holders (whether it is Styrofoam or a basket or a lid with holes) be touching the surface of the water or slightly hanging above it? As mentioned earlier, leaving an exposed portion of the roots on top of the water surface is healthy for plant growth to reduce the risk of root rot. It also allows a margin of safety to prevent the stems from becoming submerged. Stems and foliage will not tolerate even well oxygenated water like the roots are able to. The height of the plant above the water surface also depends on the absorption capability of the growing media. If a highly absorbent medium is used, there is less risk of the roots drying out , and it is more acceptable to let the plants sit slightly higher above the level of the water. Hence, the absorption rate of the growing media needs to be considered when deciding the level at which to suspend your plants. The size of the plant also determines the water level in the reservoir. If the roots of the plant are very short, the plant holder needs to be touching the water surface to make sure the roots get sufficient contract with the water solution and receive the oxygen and nutrients that are needed. When the plant holders are touching the water surface, the plant roots are better exposed to the nutrients needed which speeds up root growth during these early stages. For larger plants with longer roots, it is more acceptable to submerge only part of the root structure in the nutrient solution, as the plant will still be able to obtain an optimal quantity of water and nutrients. A recirculating water culture system is an modular deep water culture system that allows multiple smaller water reservoirs to be connected to a central reservoir, such that water is circulated from and to the central reservoir. This setup allows a deep water culture system to be scaled up efficiently, while only needing to maintain the pH and concentration of one central reservoir, rather than for multiple separate systems. The air pump is connected to the central reservoir, which is then connected using a pump to smaller reservoirs or buckets that are also interconnected using similar pumps. In a series manner, as one reservoir is filled up, it overflows into the next one, and ultimately excess water is fed back into the central reservoir and is recirculated. This technique is effective as it reduces the number of air pumps required for the aeration process, and allows control of oxygen and nutrients in the central reservoir rather than in each bucket separately. In fact, even if there is still an air pump connected to each bucket/container, their operation can be alternated or scheduled to reduce their on-time and reduce their costs of operation. The other advantage of this structure is that more air bubbles are introduced during the water filling process, and also falling water can be used as a supporting aeration system during the overflow of water from one bucket to another. Deep water culture is a great method of hydroponic cultivation which is increasing in popularity, both at home and commercially. These systems are easy to build and require little maintenance when constructed correctly. Getting started may seem somewhat daunting at first, but with appropriate knowledge and the right guidance, you can get started with such a system without spending too much money. If you are thinking about trying hydroponics for the first time, this is a great option.